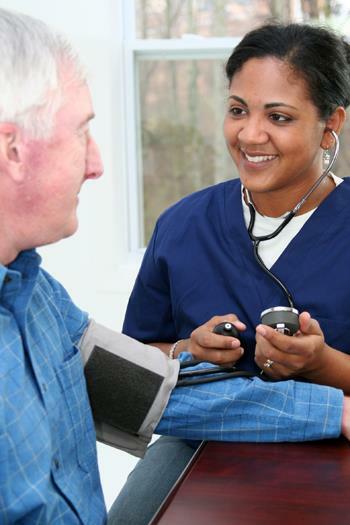 Blood pressure check appointments can be made with any Practice Nurse. Please contact reception to book an appointment. There is also a blood pressure machine in the waiting room/reception area of each surgery which can be used as an alternative to a nurse appointment on one of your two checks each year. Clinics held at Heacham and Snettisham Surgeries with Trisha Benn, Nurse Practitioner. Please contact Reception to book an appointment. Clinics held at Heacham and Snettisham Surgeries with Rachel Hendry, Practice Nurse. Please contact reception to book an appointment. Clinics held at Heacham and Snettisham Surgeries with Chantelle Davies, Practice Nurse. Please contact Reception to book an appointment. Contraception and Sexual Health Clinics are also held in King's Lynn. For an appointment or further information telephone 0300 300 3030. A District Nurse is a registered nurse, who holds a district nurse qualification. Along with visiting patients in their own homes. They provide expert and specialist care for acutely or terminally ill patients. They deal with urinary catheters, wound care, bowel and stoma care, continence, diabetes, bereavement visits and specialist services such as ear syringing. They complete a complex needs assessment referring to other agencies as appropriate. They teach patients and carers and provide expert nursing skills to the chronic sick, enabling them to remain in their own homes and reach their full potential. The Community Matron is part of the Coastal Team delivering care to housebound patients. The Community Matron can be contacted via The Coastal Hub on 01553 668777. Community Midwives work with the doctors to care for pregnant women before, during and after delivery and hold weekly antenatal clinics at Heacham Surgery by appointment. Women can book directly with the Midwife once they have had a positive pregnancy test. Please contact 01553 214903 (Midwifery Department, QEH) to arrange an appointment with your midwife. The Midwives can be contacted on 01553 613613 between 08.00-17.00 hours daily. A Podiatrist is based at Heacham and Snettisham Surgeries. They provide podiatry treatment for medium and high-risk patients (e.g. patients susceptible to foot ulceration). They provide biomechanical assessments and orthotics for lower limb anomalies and also nail surgery for pathological nail conditions. All referrals to the Podiatrist must be made by a GP or Practice Nurse. Appointments cannot be booked direct with the Podiatrist. The Community Physiotherapist provides treatment for patients either at Heacham or Snettisham Surgeries or in their own homes as appropriate. You will need to be referred by your doctor and will then be contacted direct with an appointment. Your doctor or practice nurse may refer you to the dietician for specialist advice about your diet. Clinics are held regularly at Heacham and Snettisham Surgeries. All appointments area made via The Queen Elizabeth Hospital in King's Lynn. Counsellors hold clinics at Mind in Heacham for patients aged 16 or over with mild to moderate mental health conditions. Referrals can be made by self-referral on 0300 123 1503 or via the website www.welbeingandw.co.uk or by your GP. Children are offered a screening eye test at school, usually at the age of 4-5 years. An Orthoptic clinic is held at the surgery to review children who have failed a screening test or if the Doctor / Health Visitor have concerns about a child’s eyes at a younger age. Appointments are sent out direct from St James’ in King’s Lynn. A clinic for patients who are anticoagulated (largely on Warfarin) whose treatment was started in a hospital anticoagulant Clinic. Clinics at Heacham Surgery on Tuesday and Thursday mornings. For enquiries about this service please contact our main reception desk. Clincs held at Snettisham Surgery on the first Monday of each month and the first Thursday of each month at Heacham Surgery - walk in clinics.